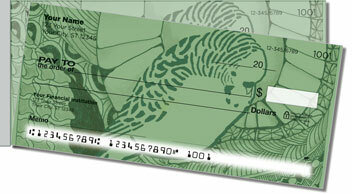 Here's an artistic choice from our Bird & Butterfly Checks collection that's perfect for bird lovers like you. 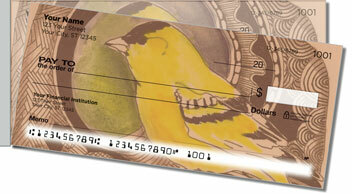 These folksy sketches celebrate the parakeet, sparrow and American goldfinch. 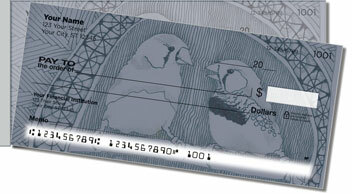 It's avian artwork that'll dress up your pocketbook and let you share your passion for songbirds every time you write a personal check! Plus, the short perforation on the left gives you superior leverage for a quick, clean tear, so your checks won't rip in the wrong place when you separate them from the pad. 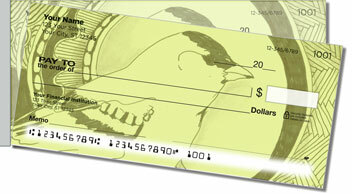 You can even get these cheerful chirpers as a set of return address labels to match your new checks. Personalize yours today!